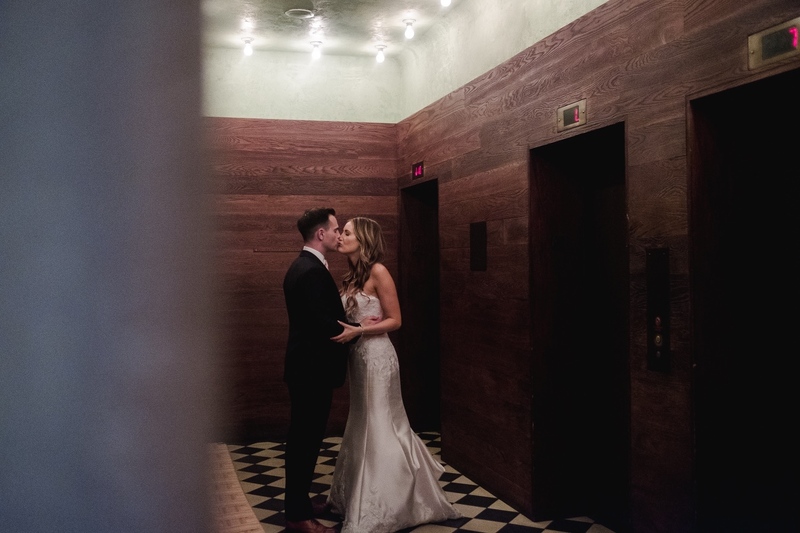 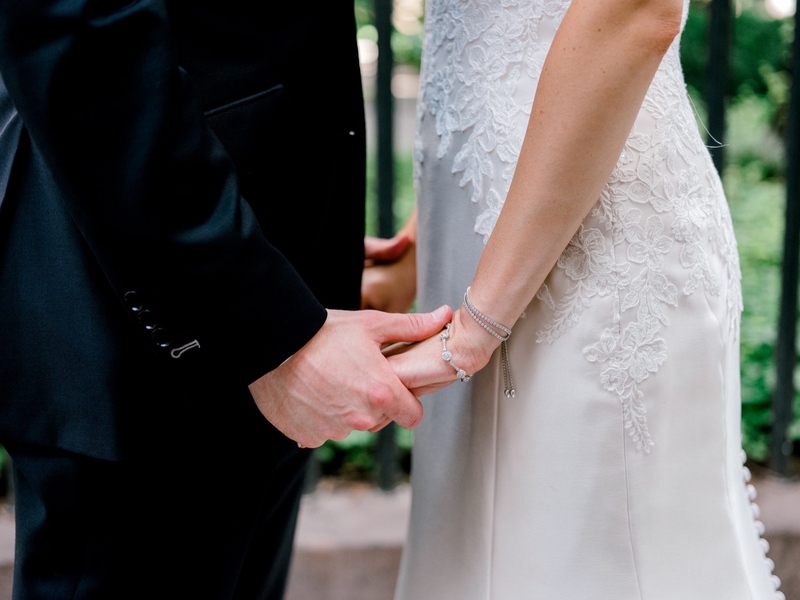 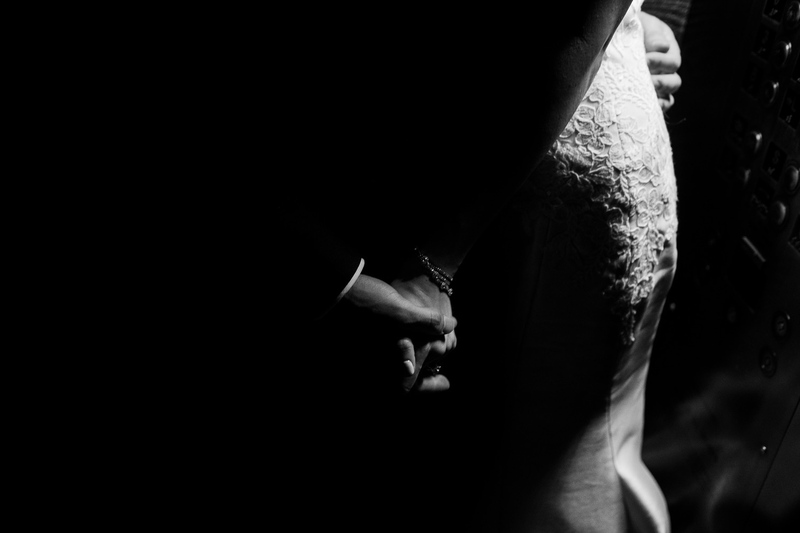 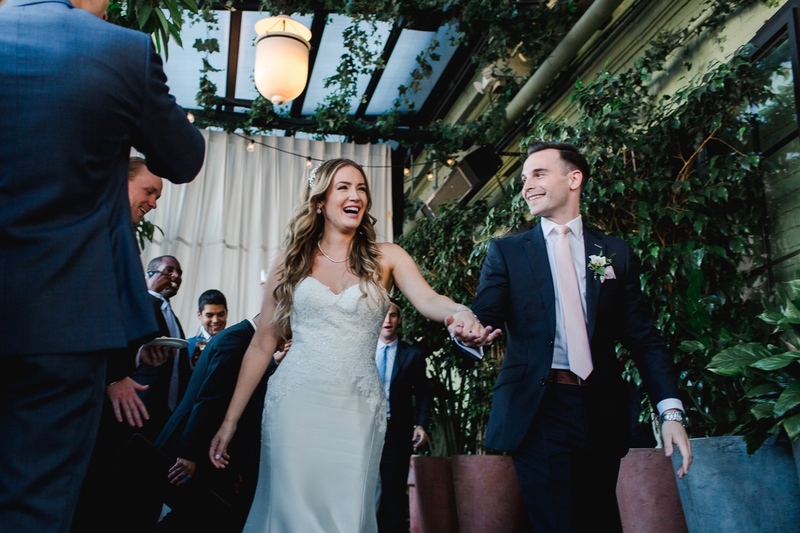 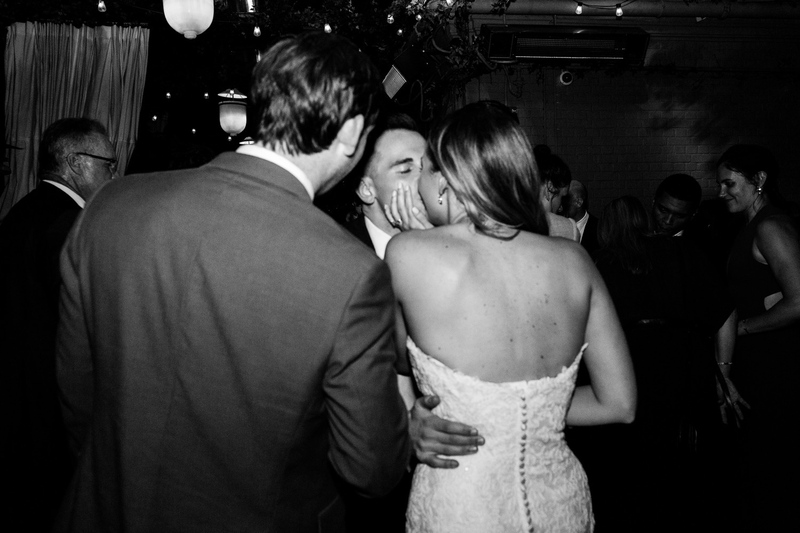 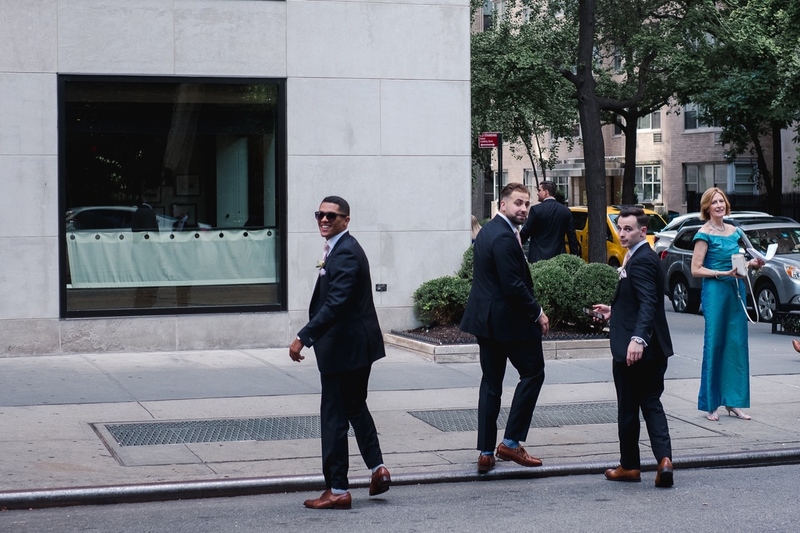 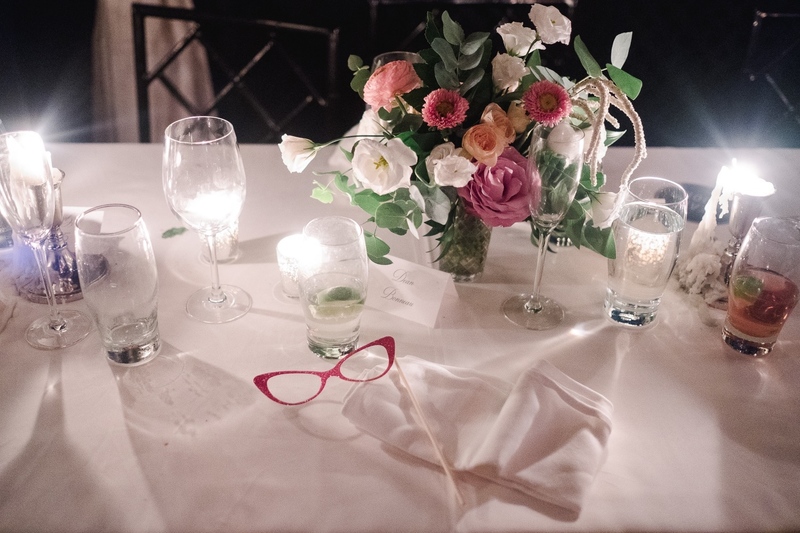 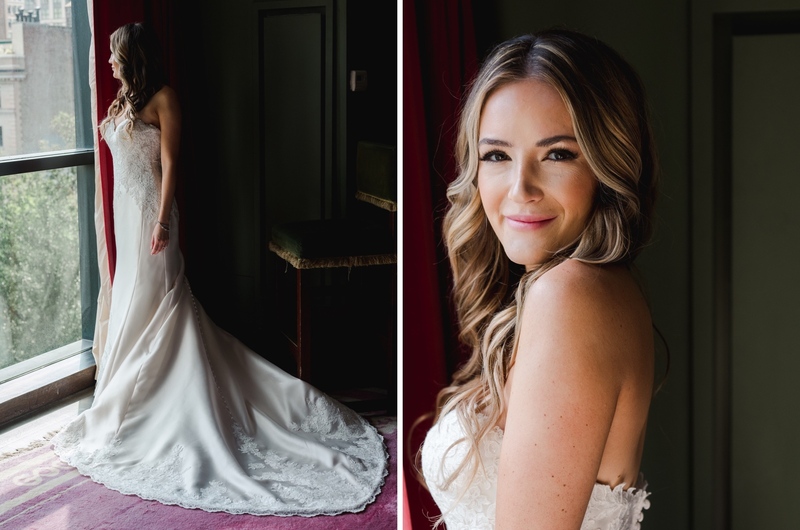 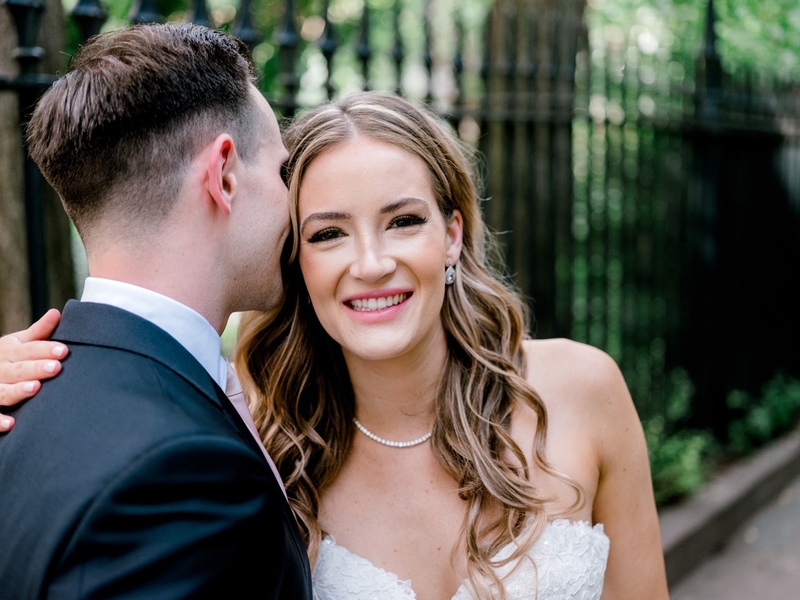 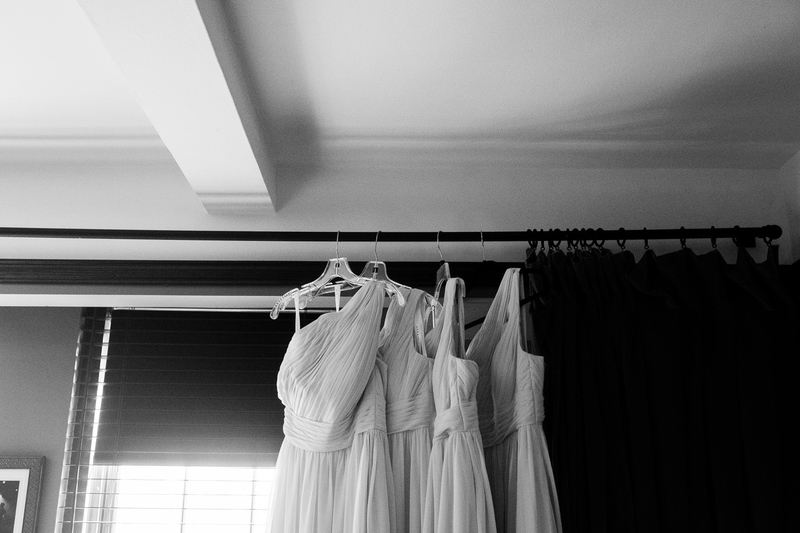 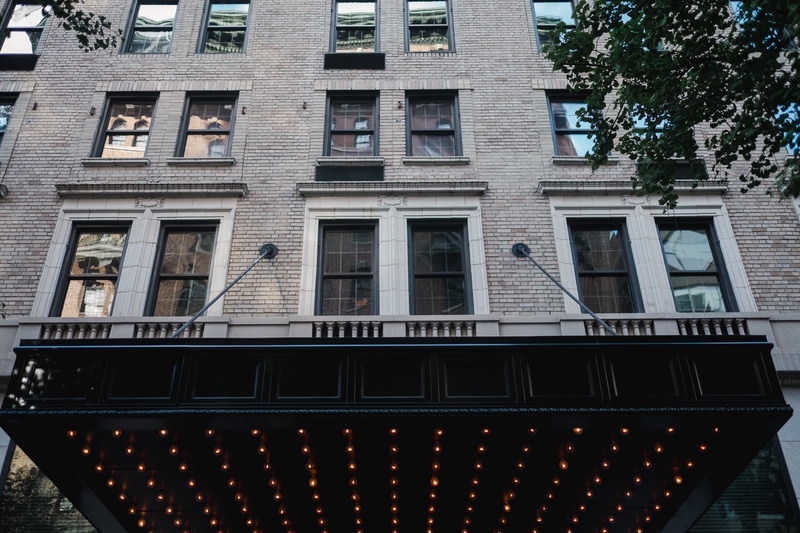 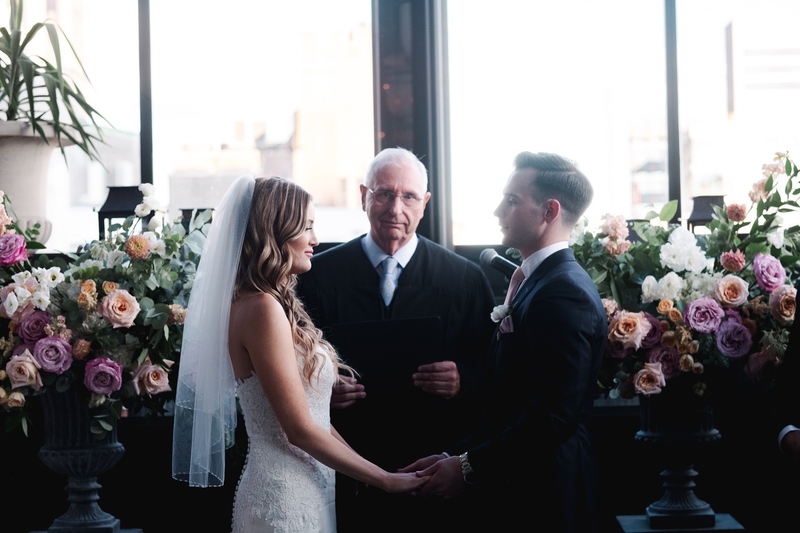 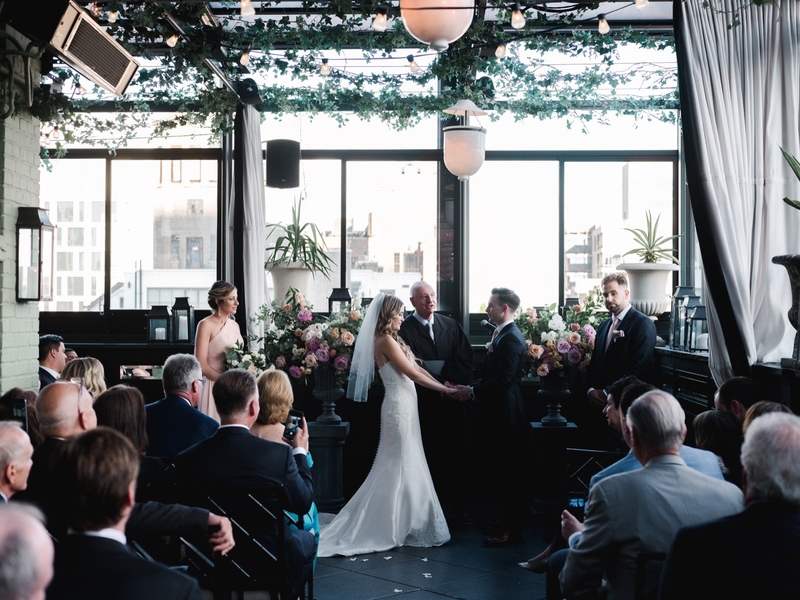 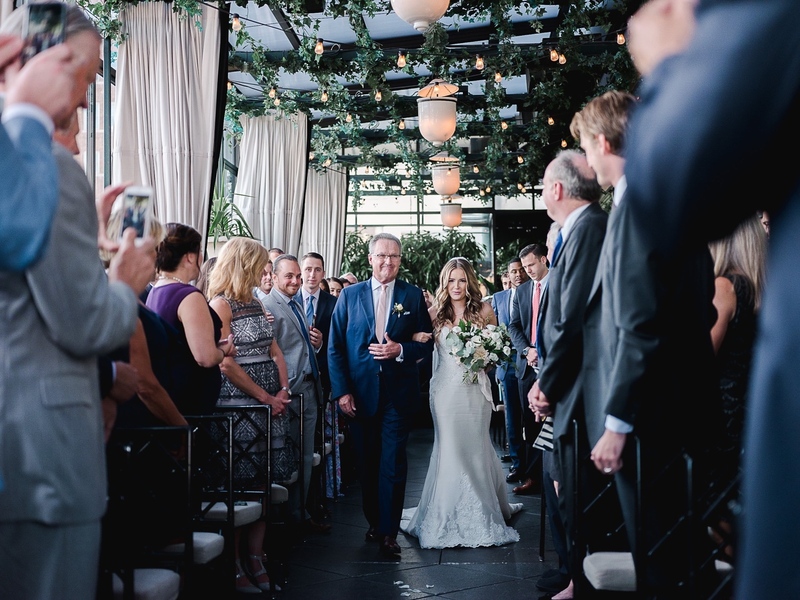 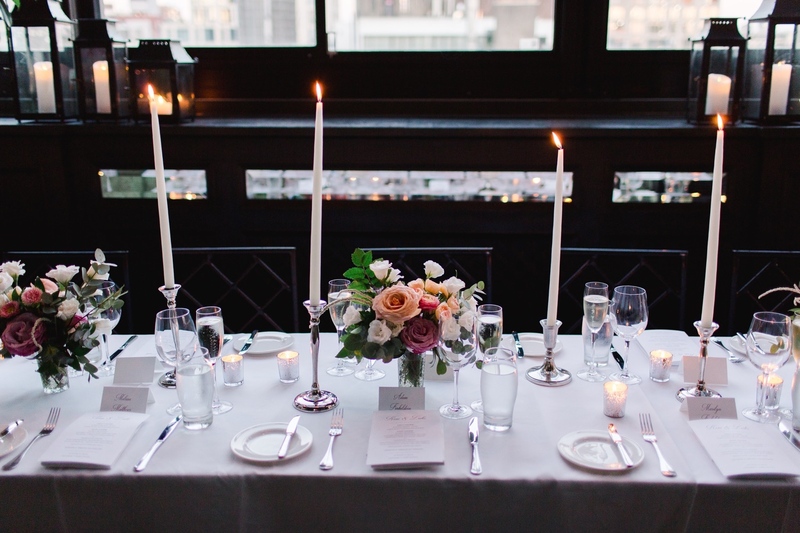 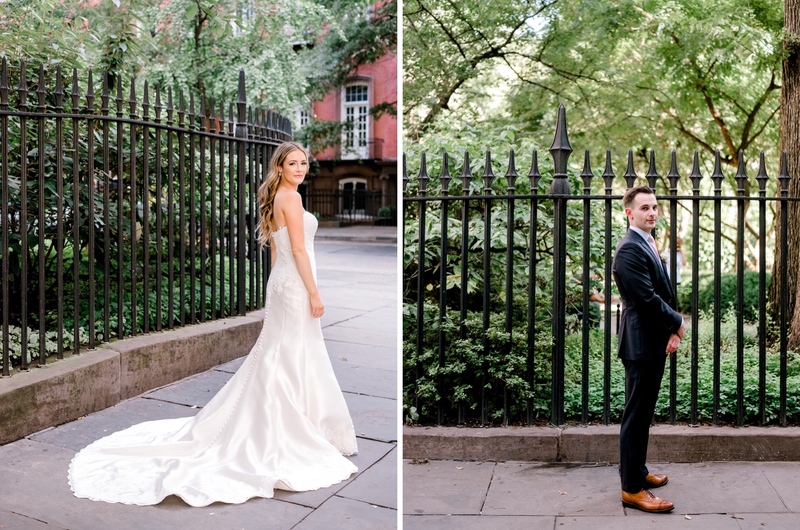 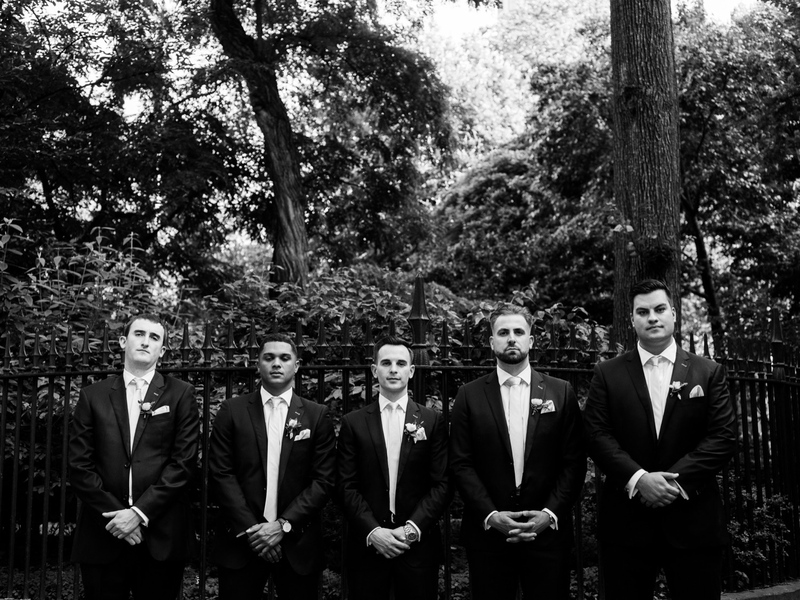 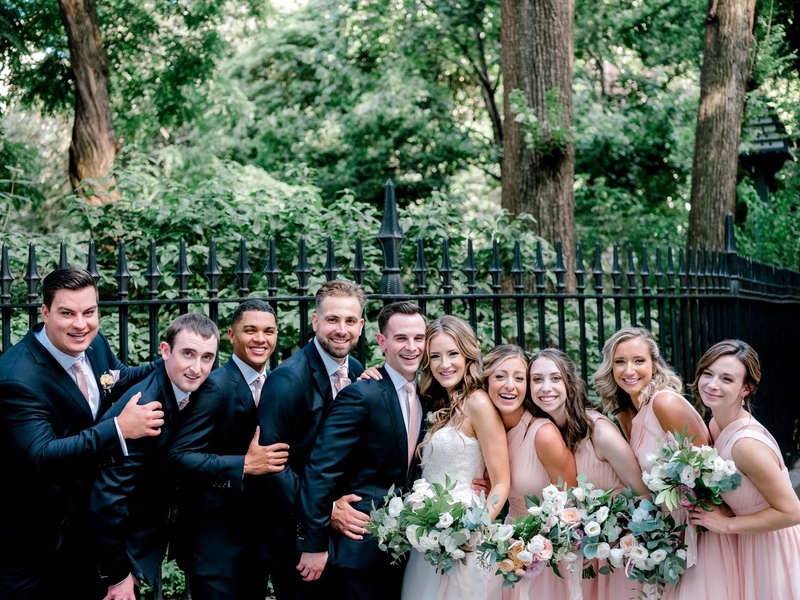 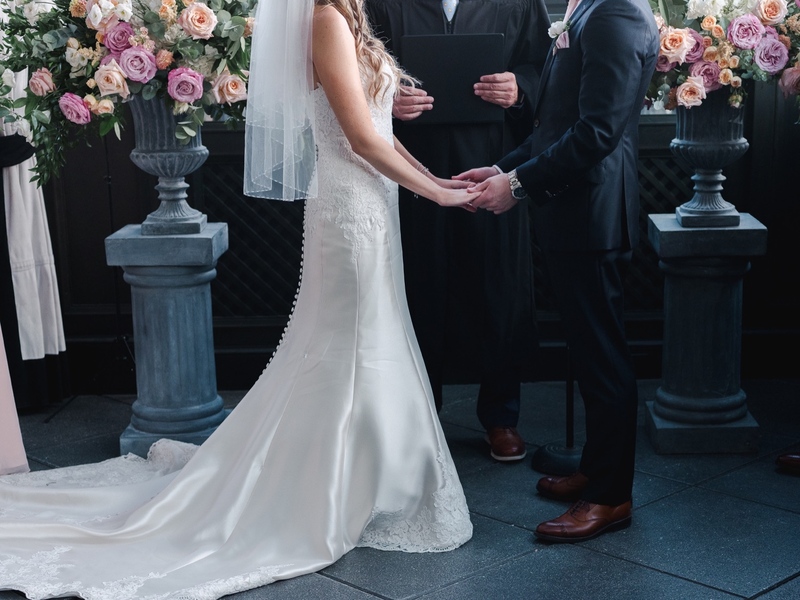 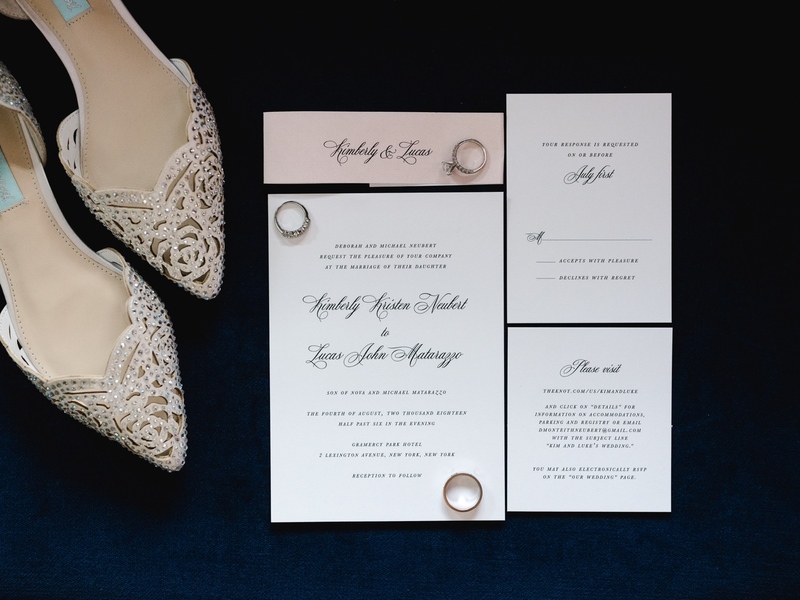 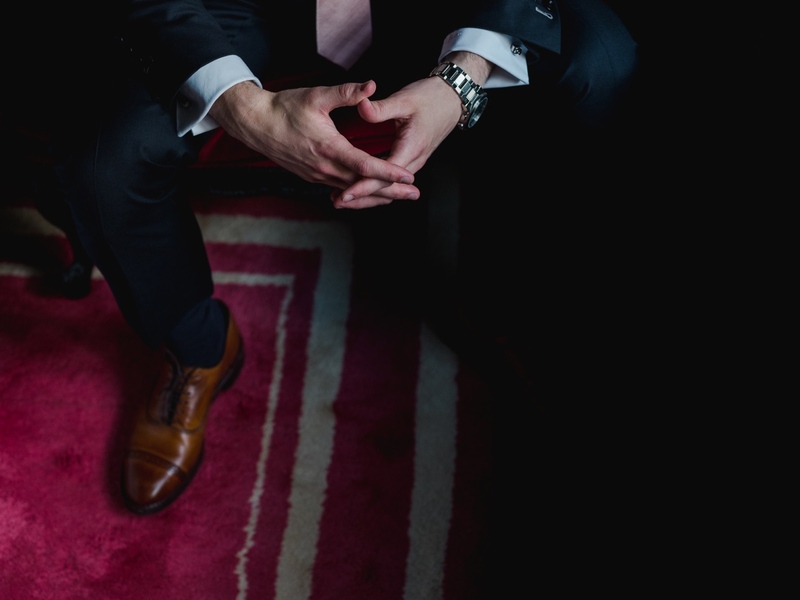 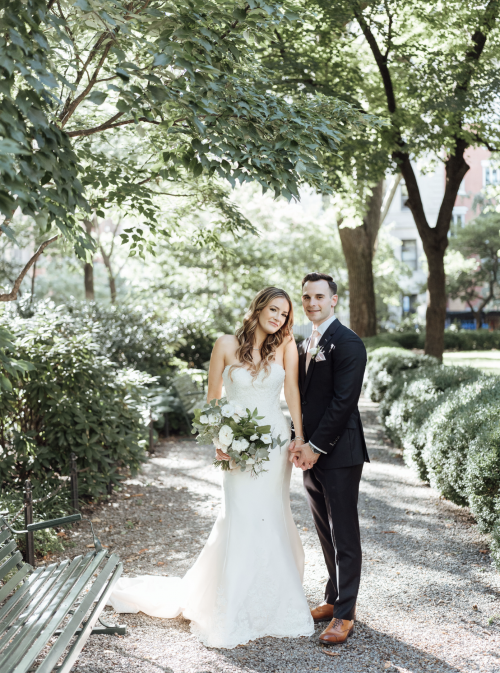 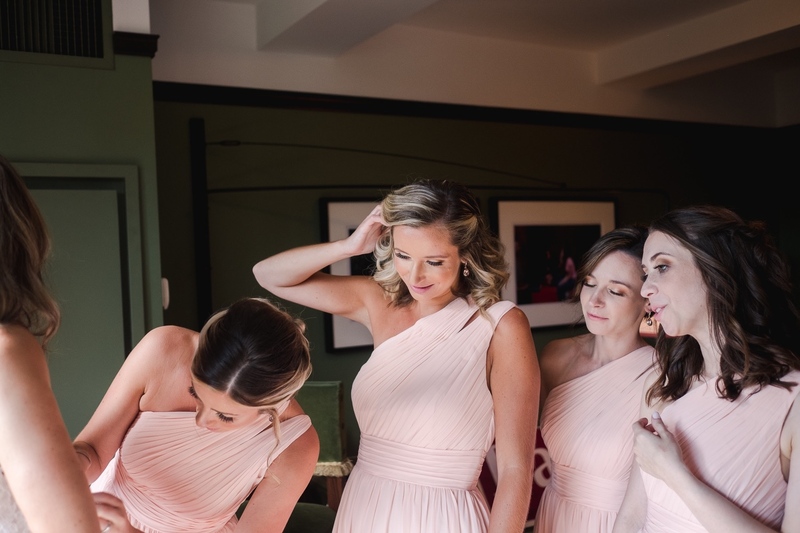 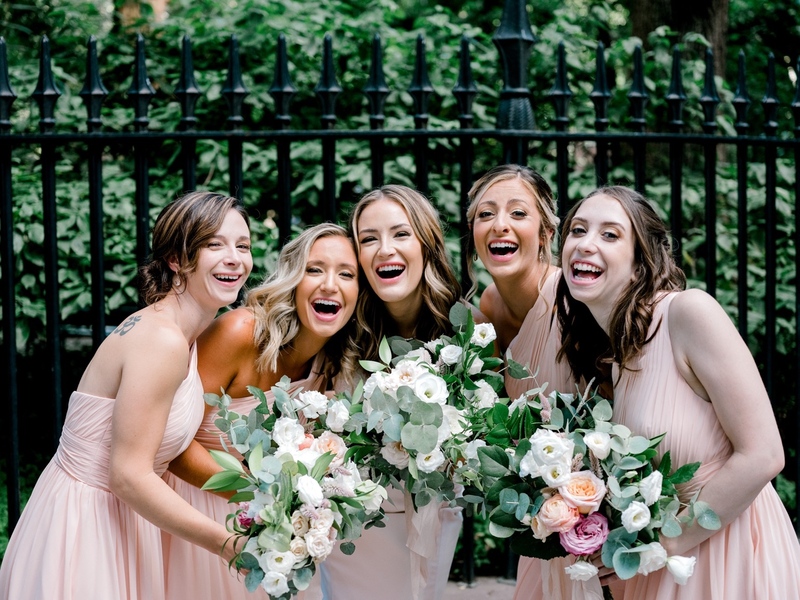 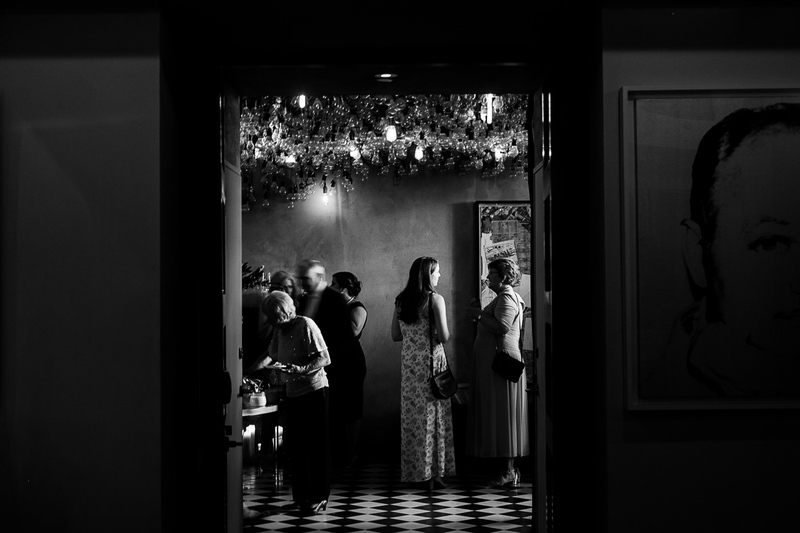 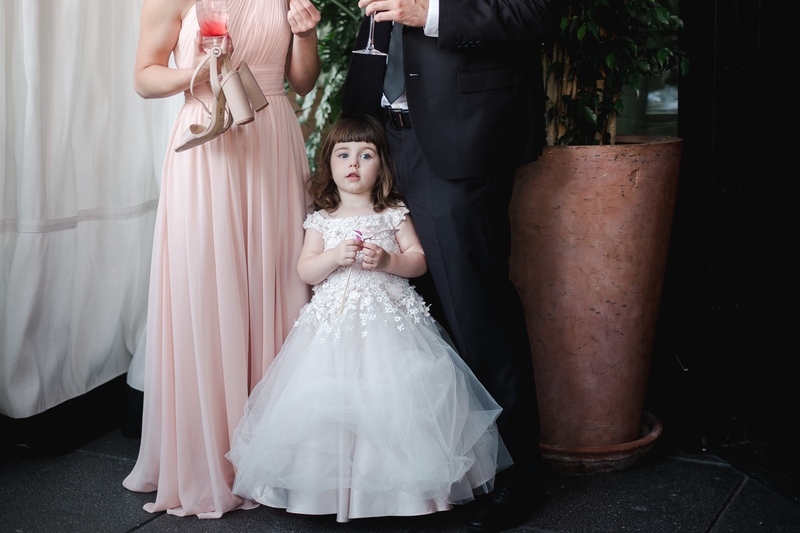 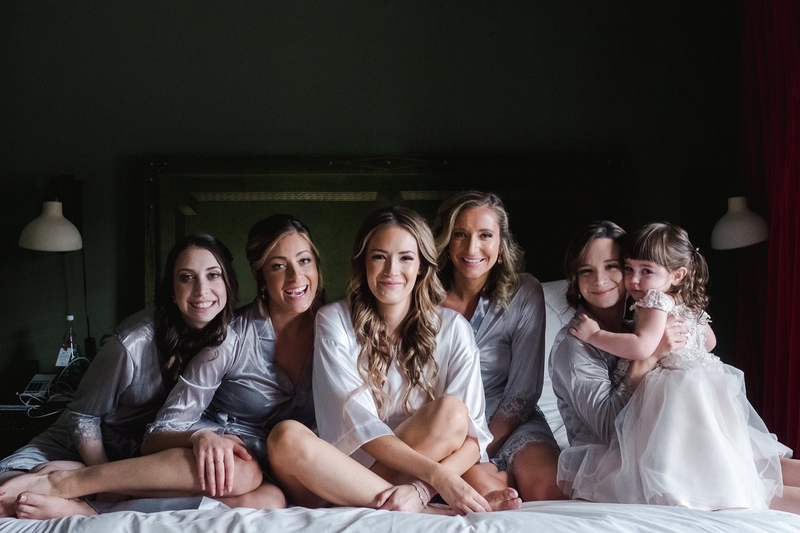 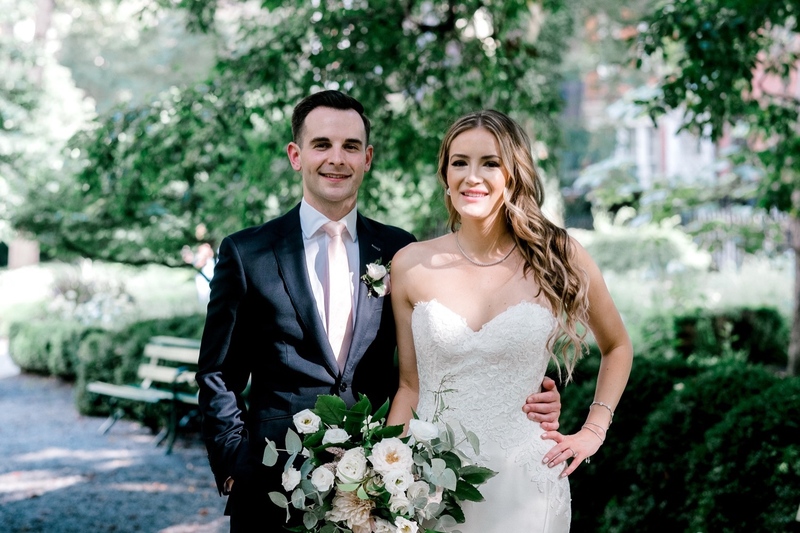 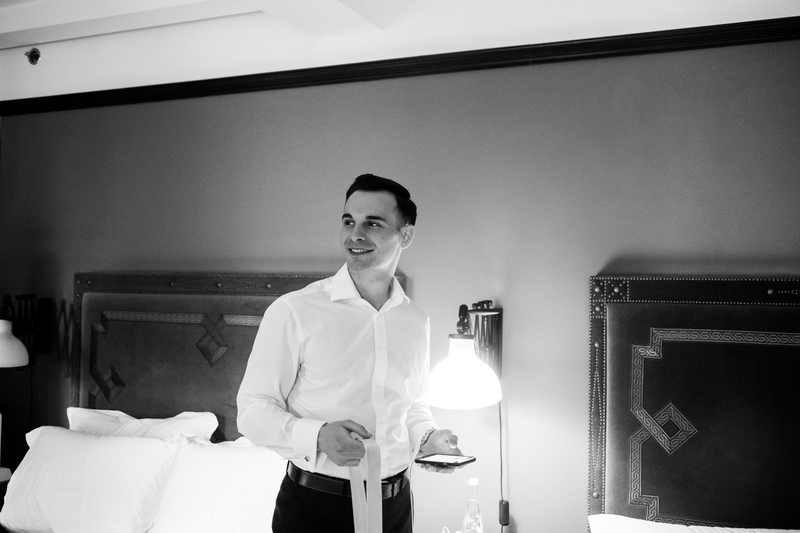 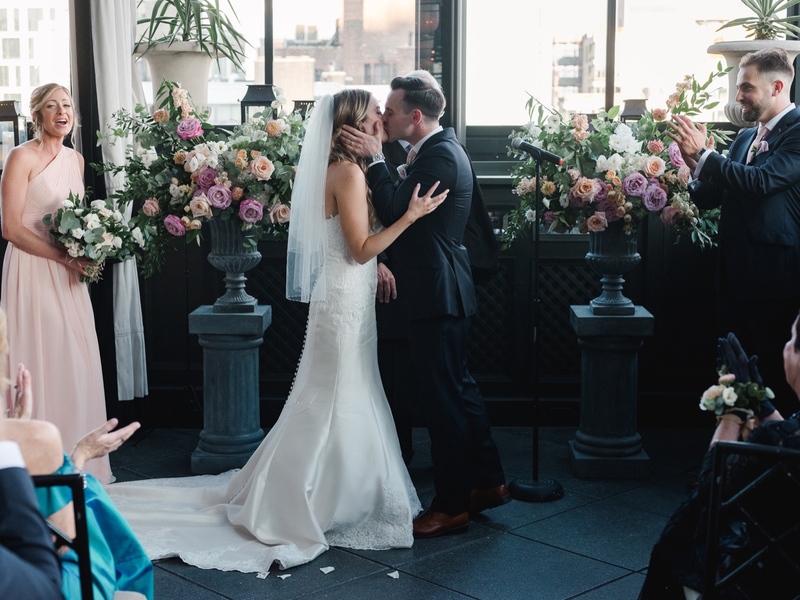 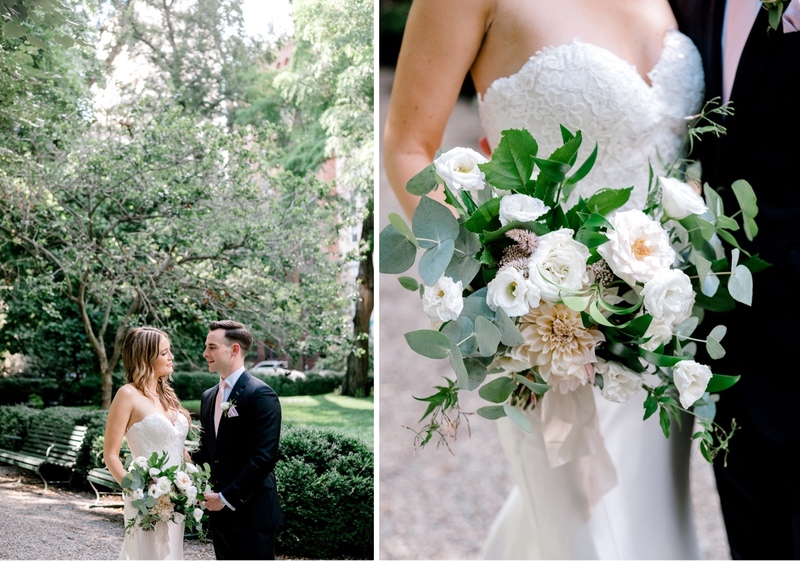 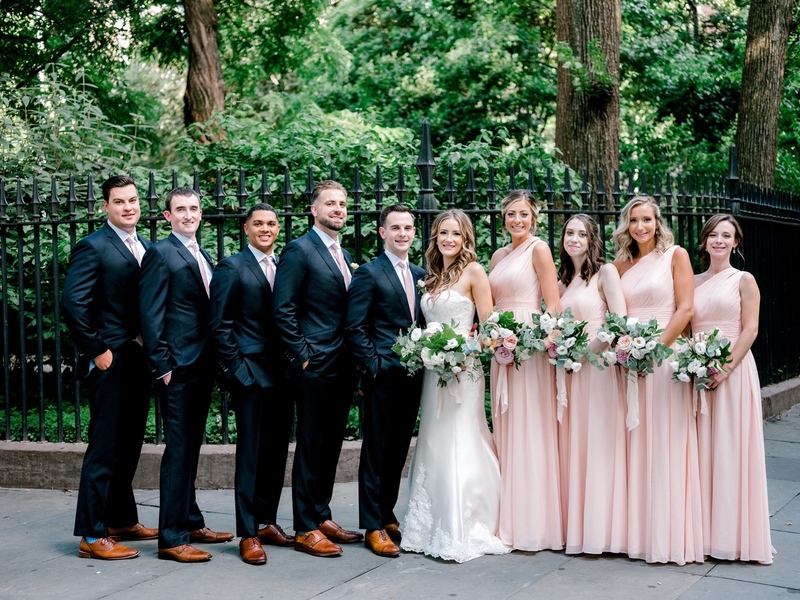 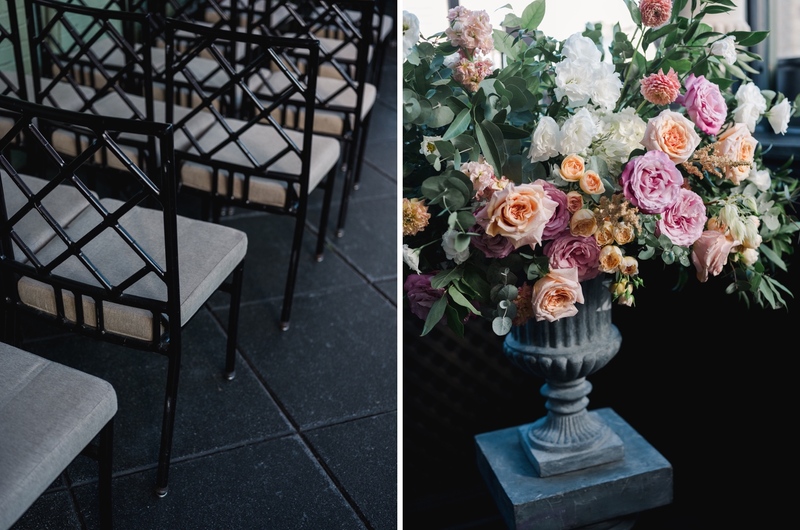 The word *obsessed* to describe this Gramercy Park Hotel Wedding is an understatement. 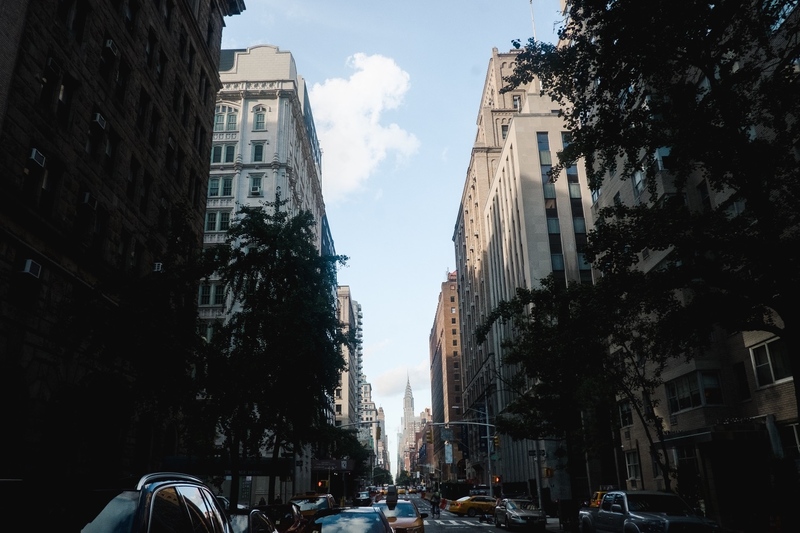 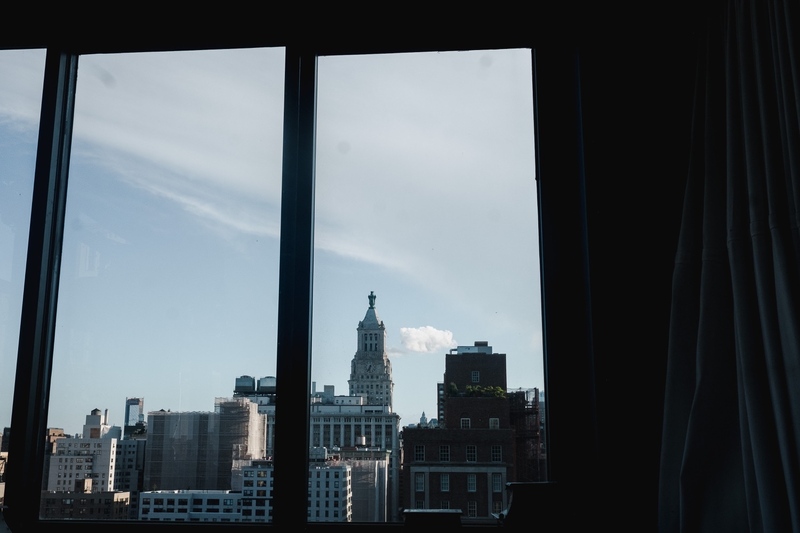 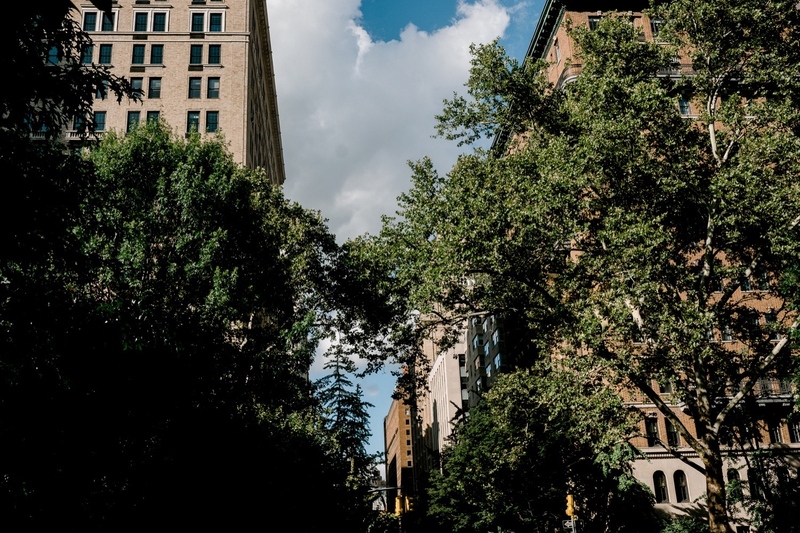 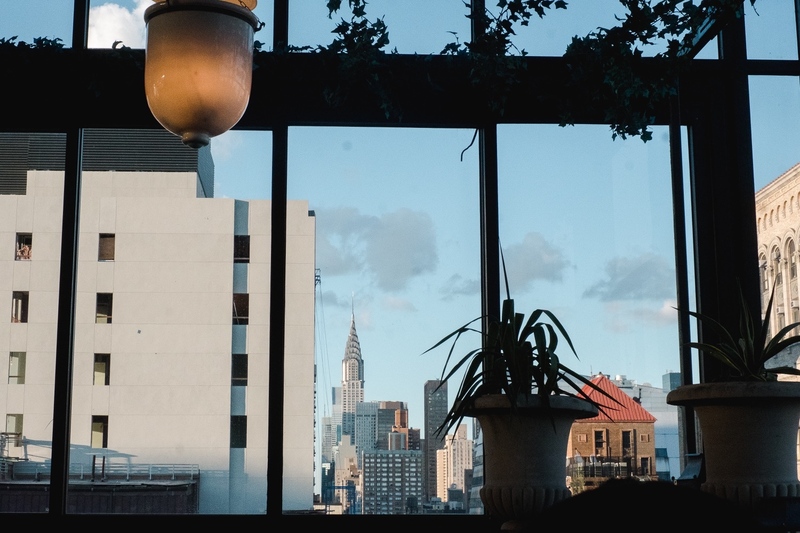 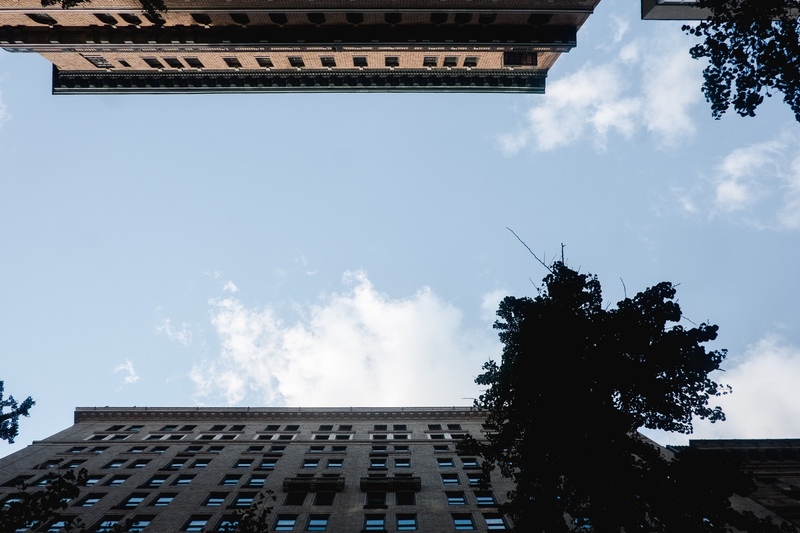 In New York City, August can feel like you’re caught in a standstill — air conditioners running, half of the city feels like it was whisked away on the Hampton Jitney, and the only thing keeping you running is an iced coffee from La Colombe. 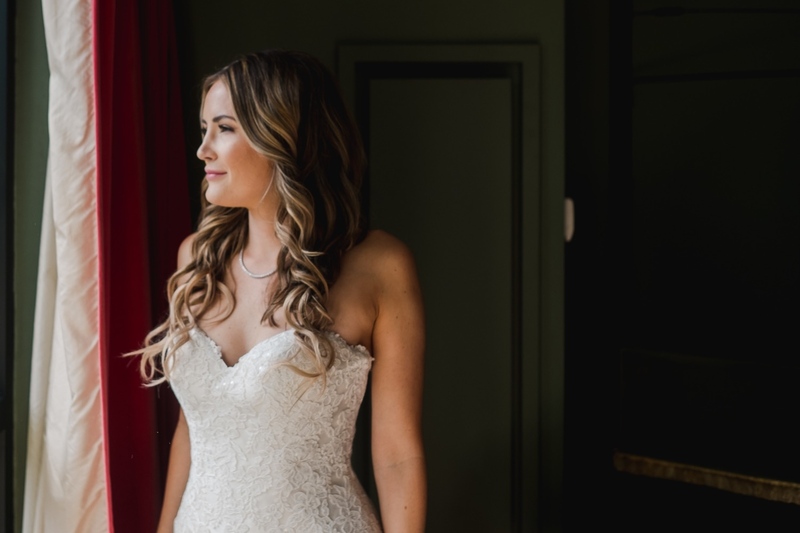 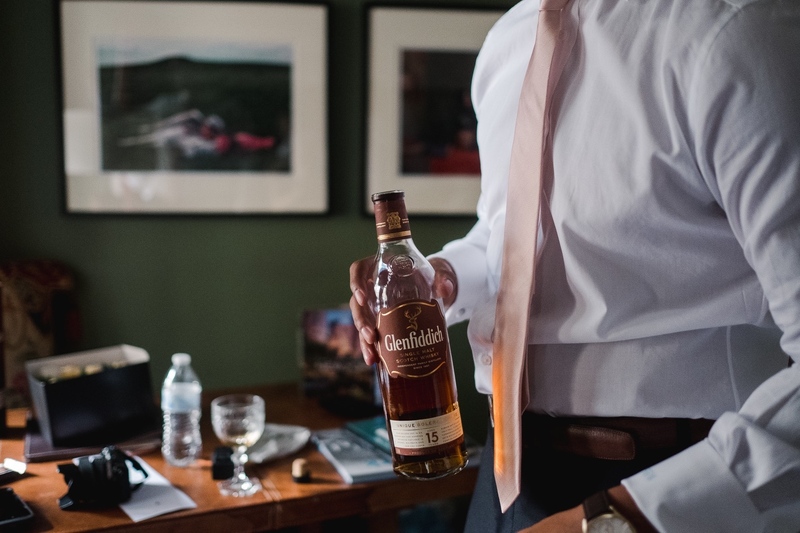 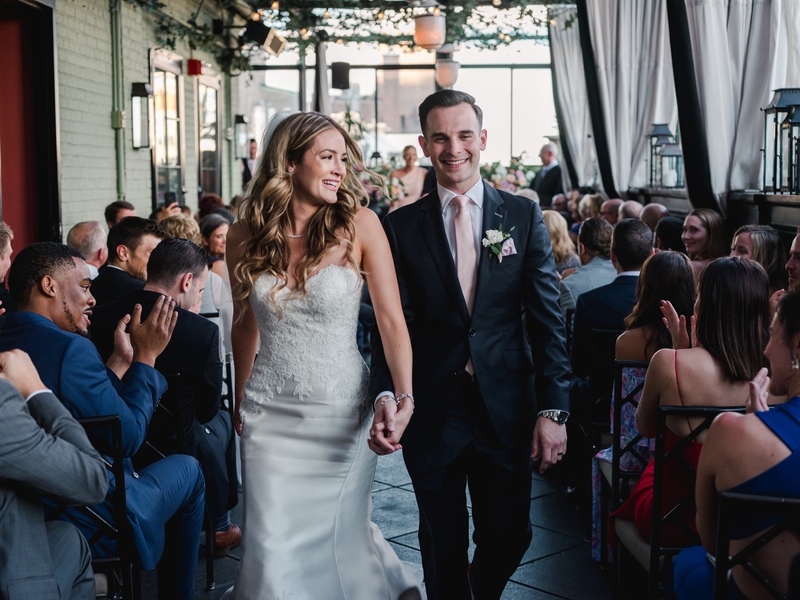 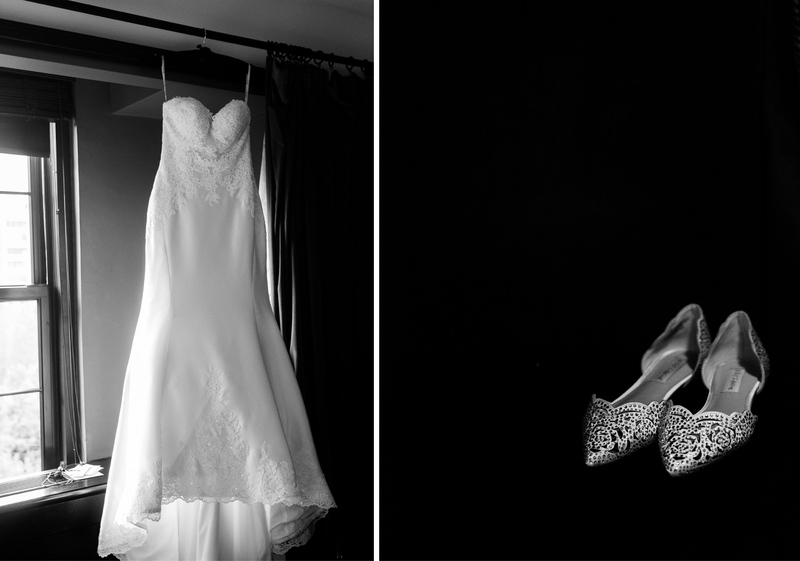 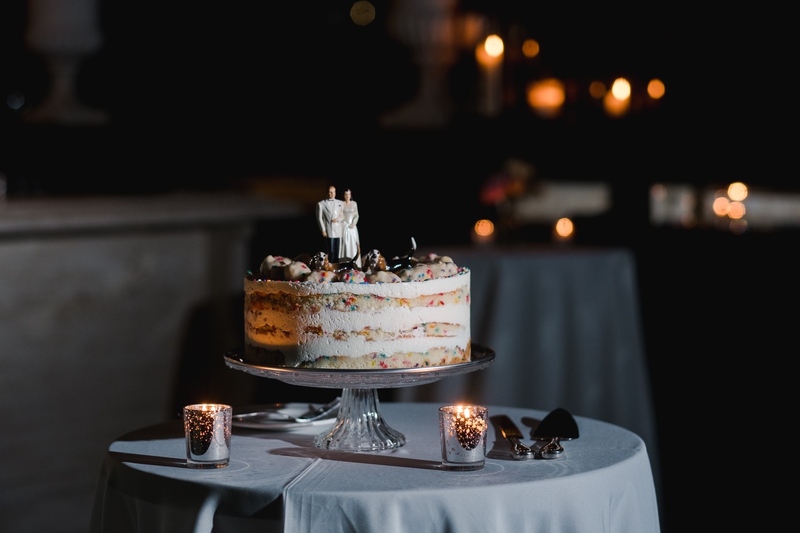 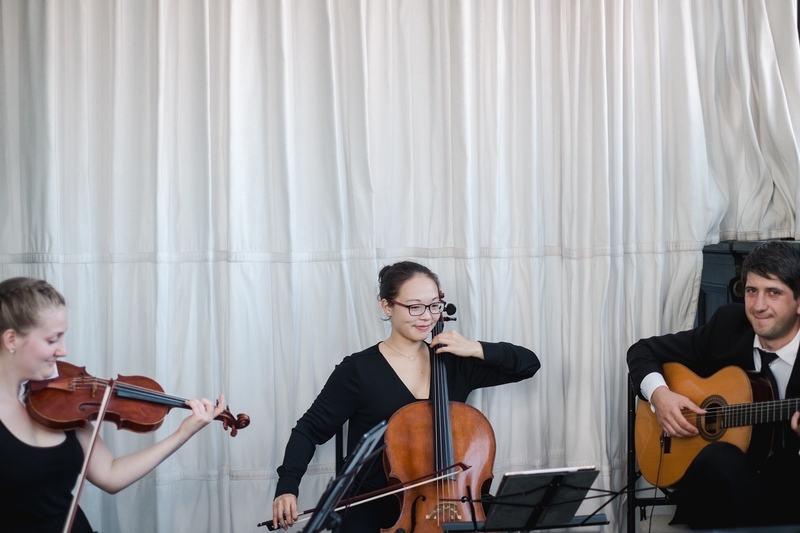 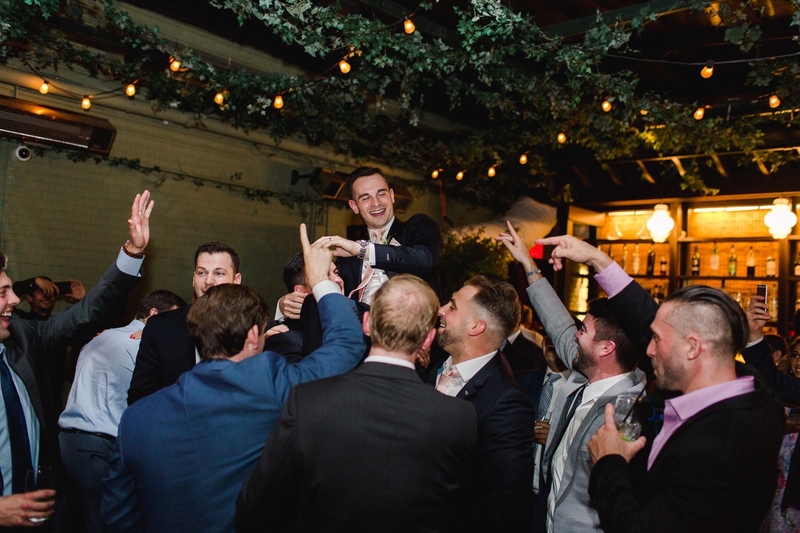 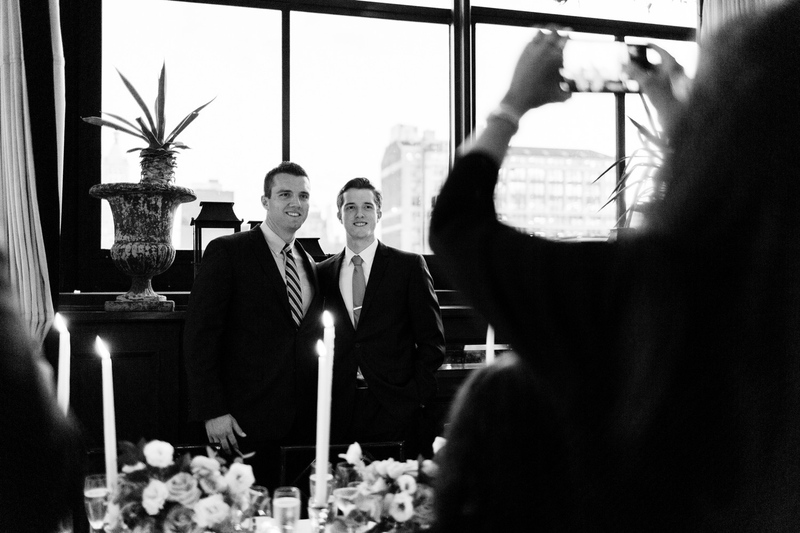 Kim and Luke’s wedding day was a welcome respite from it all.This was a little destination wedding for these two and their friends, most of whom live in Boston as Kim and Luke met studying at Bates College. 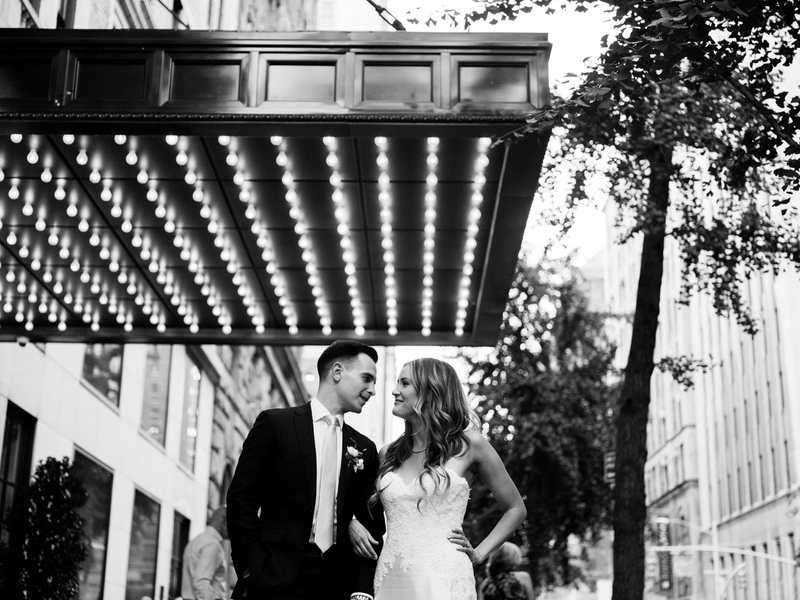 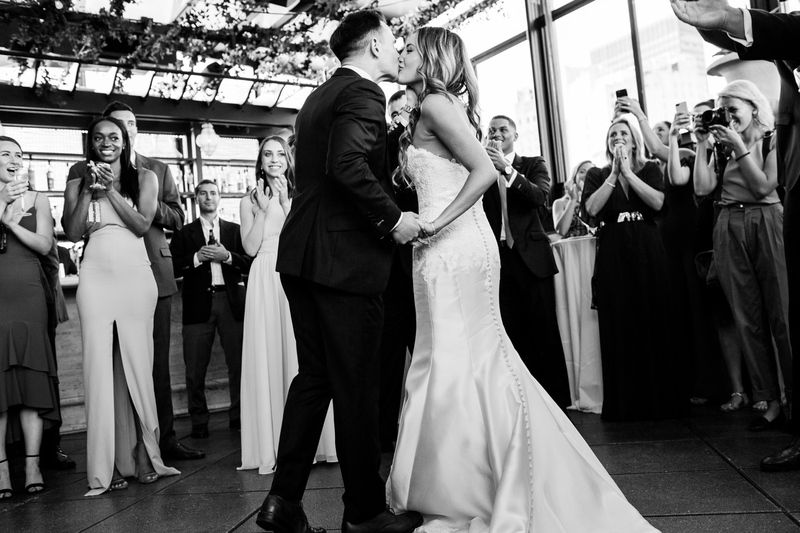 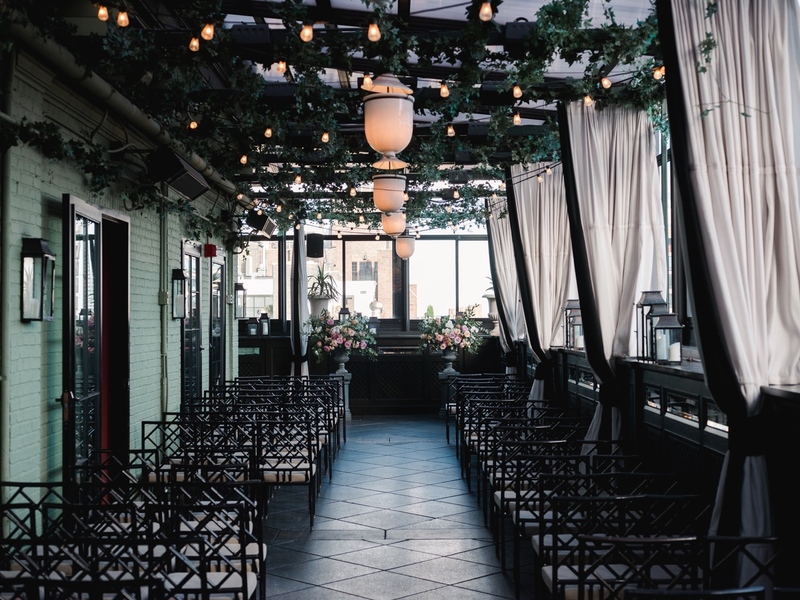 New York City has always been one of their favorite places, so it was an easy choice to get married here. 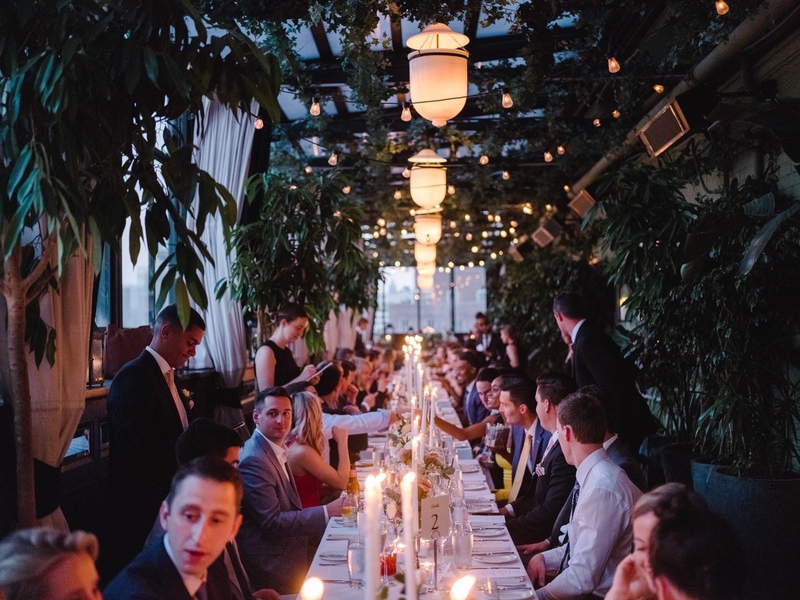 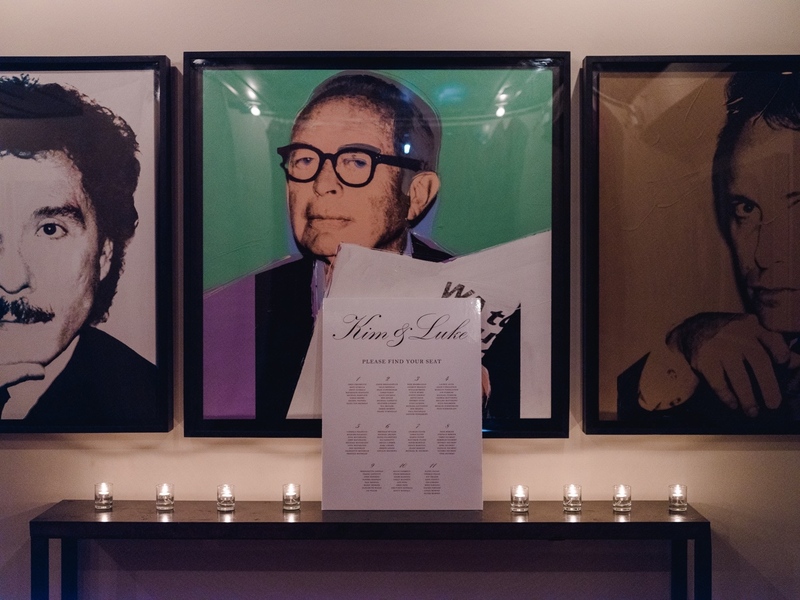 An intimate wedding of 80 guests, the dinner was made of two long communal tables with Kim and Luke seated at the center where they met. 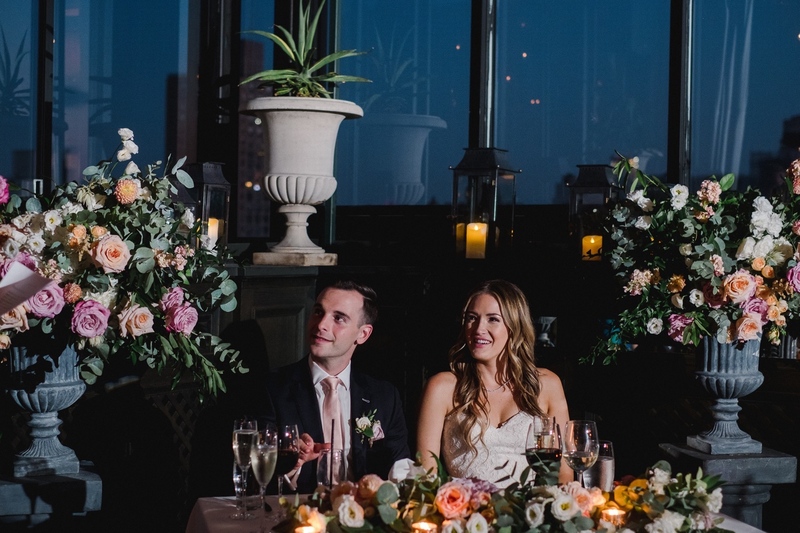 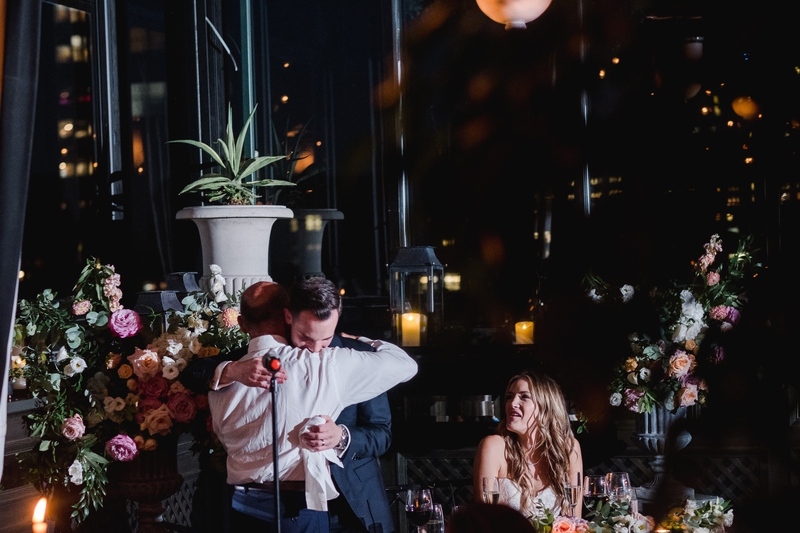 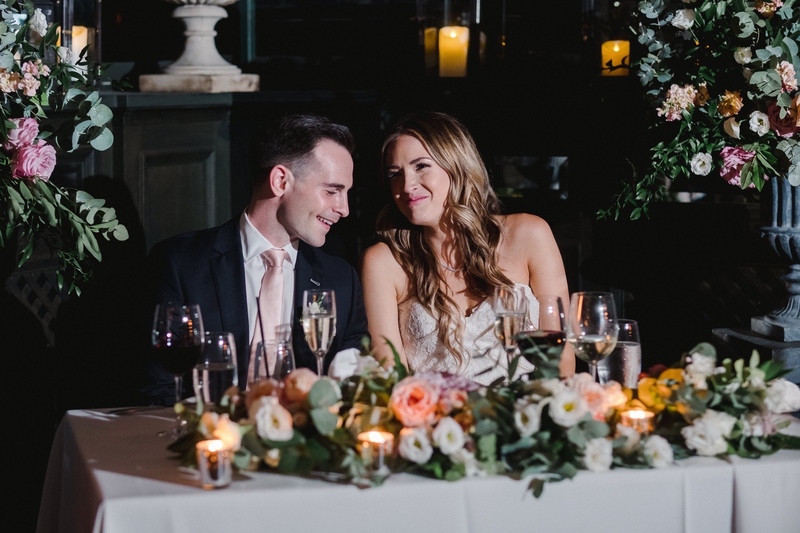 Complemented by the gorgeous florals by Designs by Ahn and styling by Polka Dot Events, the atmosphere of the dinner made the craziness of New York City feel like far away. 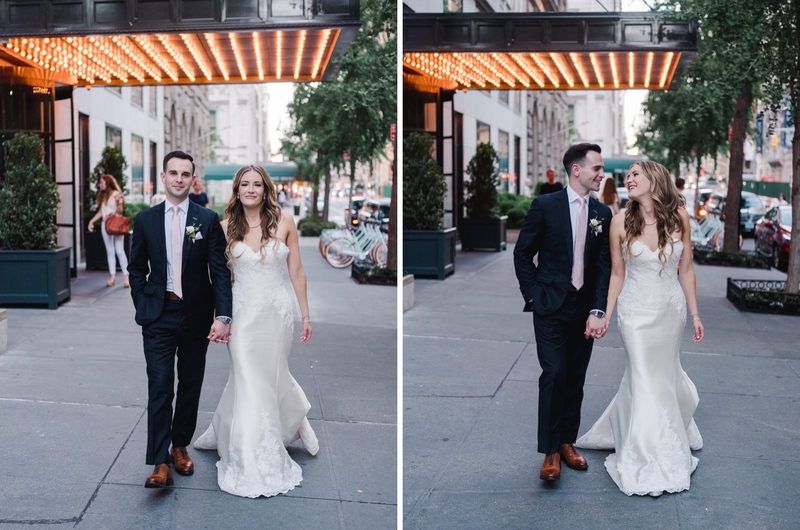 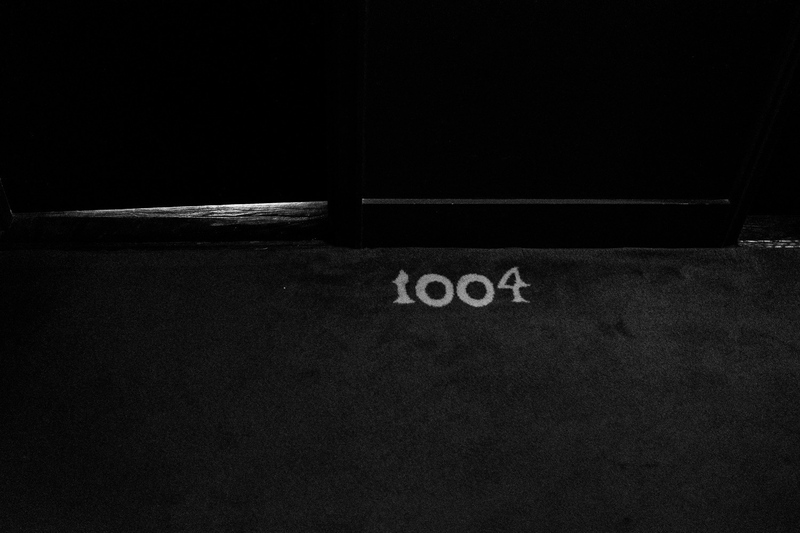 The best part of the day was the most perfect moment that only could happen in New York. 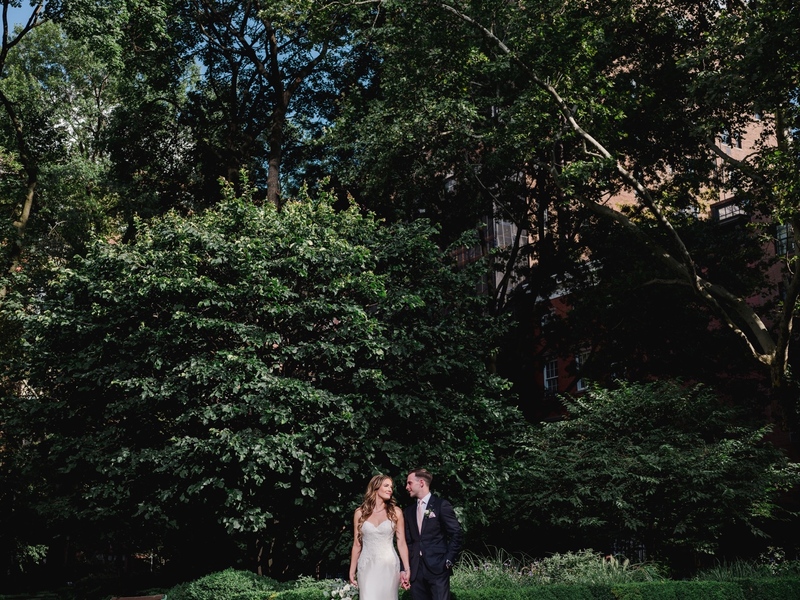 While out doing portraits around the hotel, a woman on a Citibike full of groceries rode by and turned right around. 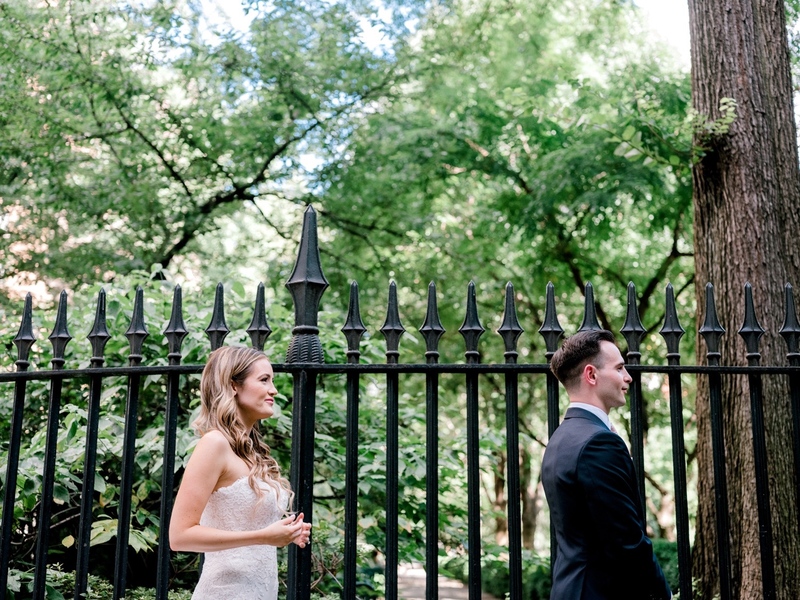 “I have a key to the park,” she said. 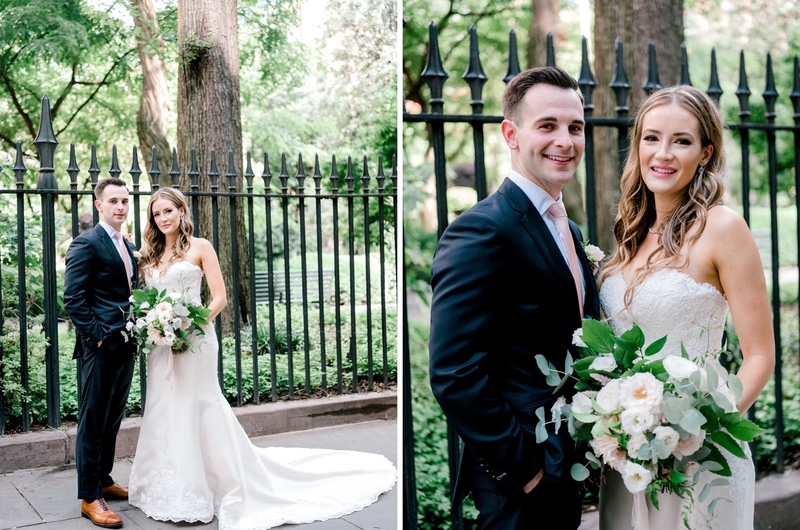 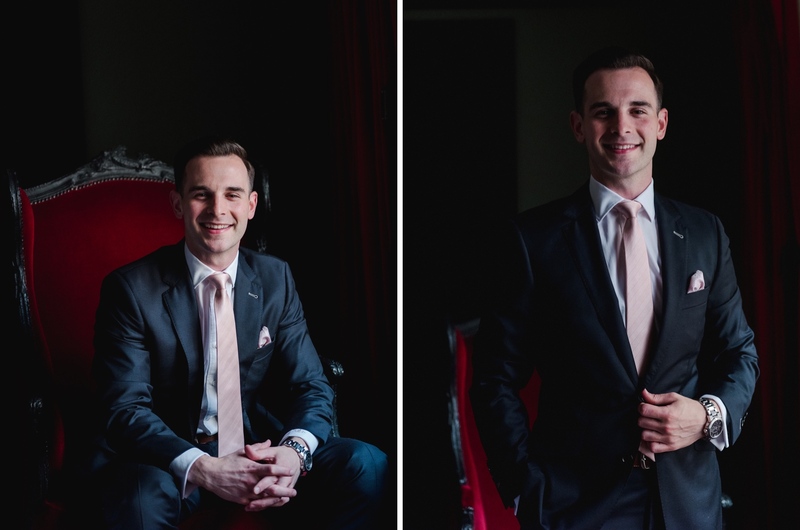 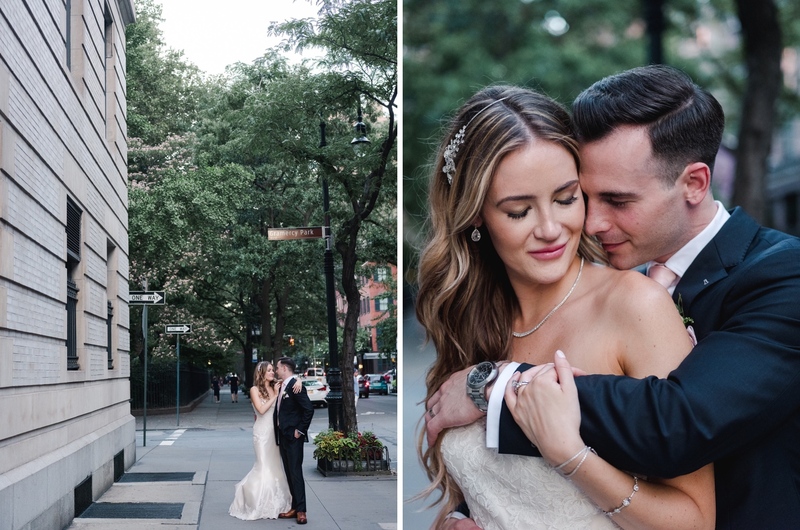 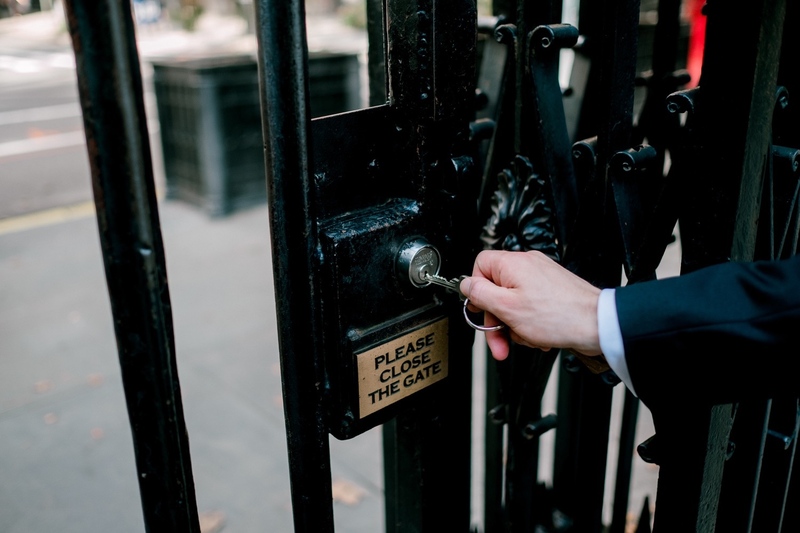 “Would you like to go in for photos?” Photographing a couple inside Gramercy Park (the famous park that is only available to residents who live facing the park by lock and key) has always been on my bucket list. 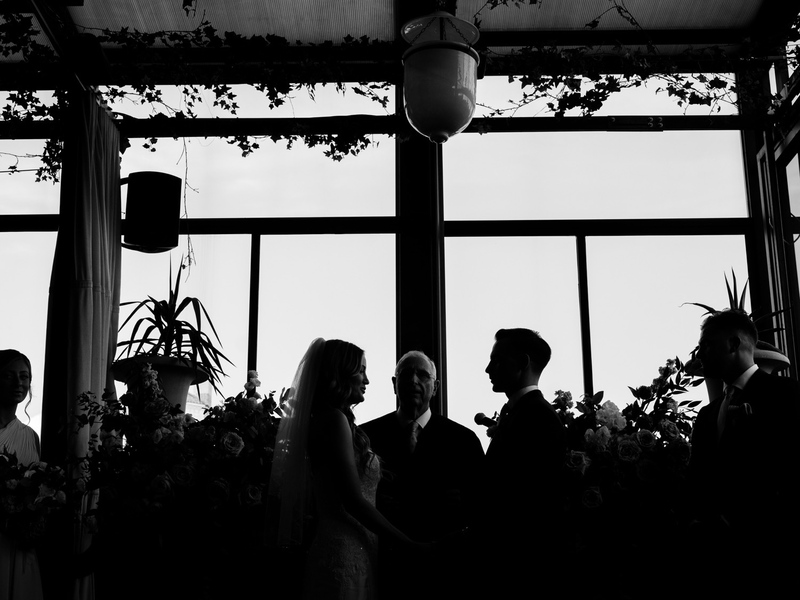 Kim and Luke were so jazzed and we made absolute magic there thanks to the kind resident. 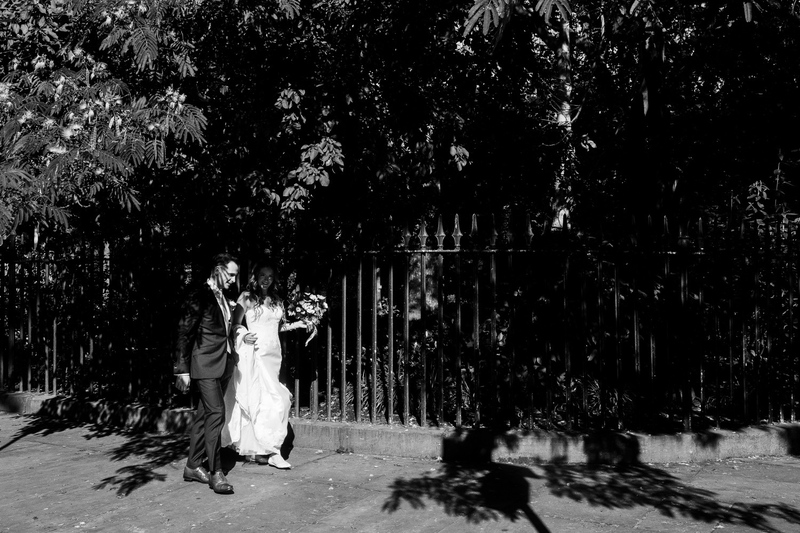 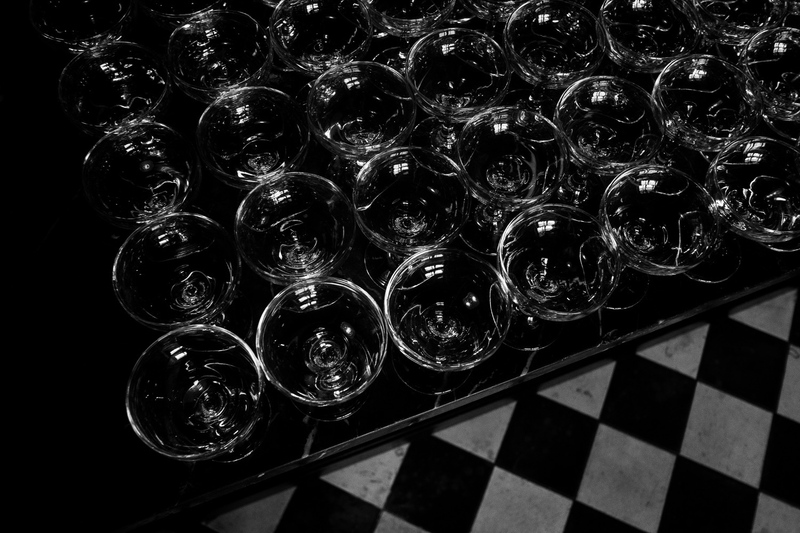 This wedding was photographed by Katherine.